The path to success in the music industry is tough especially for musicians outside of the US. Not only do they have to transition and settle into the US music scene, they also have to get used to life outside of their home country. Harmony, originally from the UK, was forced to quickly adjust as he moved from his hometown to California in hopes that his dreams of being a music producer would come to fruition. Luckily for him, that opportunity has finally come his way and he’s taken full advantage of it. If you look at the album credits for the majority of the big R&B albums that have come out recently, you will realize that Harmony’s name has been in almost all of them from Brandy to Keyshia Cole to Ne-Yo. 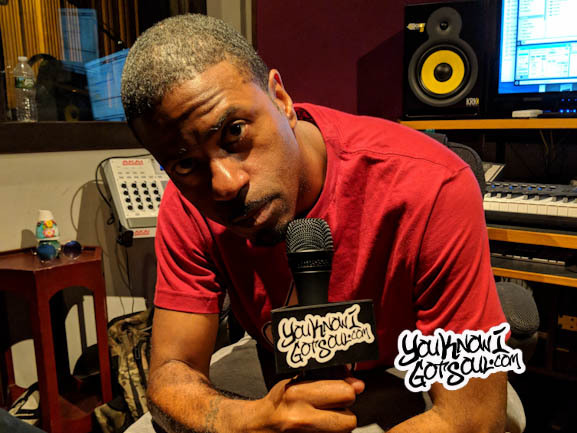 YouKnowIGotSoul had a chance to speak with Harmony about his journey in the music industry from the UK to LA, his process in the industry and his work on the new Fantasia album. 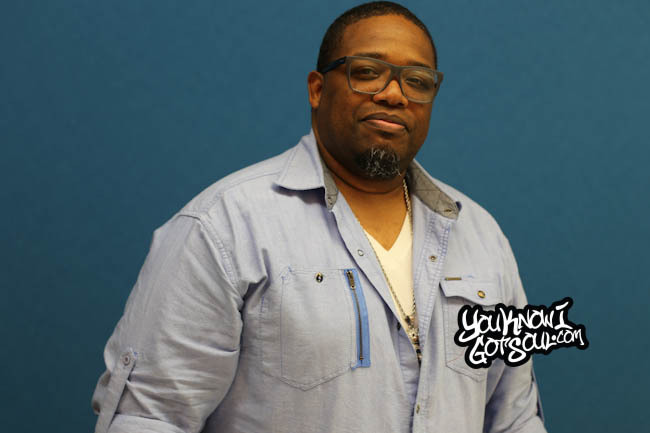 YouKnowIGotSoul: I read that you were originally discovered by Rodney Jerkins. How did that opportunity come about? YouKnowIGotSoul: With working with him, was it more so working alongside with him or did he just let you do what your normally do? Harmony Samuels: We had moments where we worked alongside each other and then most of the time I worked on my own. I was already working on my own, I was in the middle of working with a UK rapper’s album. He was very much letting me do my own thing at that time. There were times we collaborated. We collaborated on numerous occasions. It was fun, he taught me so much. I always say to people that it was like my final year in Harvard, I was about to get my degree. That was what my experience with Rodney was like. YouKnowIGotSoul: You’re originally from the UK and then you had to relocate to the US. Talk about that transition and why you felt it was necessary to move. Harmony Samuels: I had reached my ceiling in the UK. We had pretty much built a name for ourselves on the underground circuit. Commercially, there was just wasn’t enough people for us to work with. We had done everything from remixes for big stars in the UK to some of the American superstars. We kind of had reached our ceiling and we wanted to work on some major projects. Basically when I met Rodney, he was like “If you sign with us, you’ll have to move to LA.” That wasn’t in my plans at all. I always wanted to move to New York, so I was like “Can I just go to New York and just send you stuff?” He was like “Nope, you have to move to LA.” I took the opportunity and the first year was very difficult because I didn’t know anybody. I was pretty much by myself and then my business partner Chris came out afterwards. It was very difficult because it’s very different, the city is very big. The game is a little bit wilder over here than it is there. At the same time though, I learned so much. I guess America is the land where dreams can come true and I’ve been making music for 15 years. It wasn’t until I made the transition to the US, my career was kind of at a point and it never went anywhere. When I came over to the US, it took charge and a lot of great things have happened in a short space of time. YouKnowIGotSoul: With the way technology is nowadays where everything can be sent through the computer, some new producers may make the argument that it’s not necessary to move. What advice would you give to those people? Harmony Samuels: There are different types of producers. There are producers who make music and that’s what they do. Then there’s producers who make music, develop artists and have a relationship. That’s the kind of producer I am. Nine times out of ten, any record that you’ve heard from me is because I know the artist, I’m in the studio with them and I vocally produced the artist. I’m like a coach in the studio for the record. Like I just finished Fantasia’s album for instance and Fantasia wouldn’t let anybody vocally produce it but me because she felt safe and comfortable. I’m kind of like a new age producer but old school producer where Quincy Jones once said “To bring the best out of an artist, you have to know them and love them.” That’s what we do, we have relationships with artists. We don’t just go in the studio and say “Here’s the track. Good Day!” They trust us and now they’re trusting us with albums. Fantasia was like “I want you to do my whole album.” We’re about to do Michelle Williams’ new album as well as Ariana Grande’s. These people just feel safe and trust that we will deliver not just musically or sonically, but we’ll be able to deliver them too that their performance is of a higher percentage. Chris always says to me “Every Michael Jordan needs a Phil Jackson” and that’s the way I look at this industry. LA Reid and Babyface, without them we wouldn’t have had TLC or Toni Braxton. Jimmy Jam & Terry Lewis with Janet Jackson, Jermaine Dupri with Mariah Carey or Usher. You have to find the synergy that works and develop them. You can become a bigger star if you have a coach rather than just being sent music all the time. YouKnowIGotSoul: Since you’ve moved to the US, you’ve had a lot of placements. It’s rare for a new producer to get so many placements in a short period of the time, so what’s been the key to that? Harmony Samuels: When I first got to LA, it was just the same game. I was trying to get in with people, trying to meet people. We would spend hours going to Universal and Island Def Jam. I would be seeing the same people that I work with now. It’s kind of funny because it’s like I remember three years ago, you wouldn’t even take me seriously. To be honest with you, it’s delivery. Do you deliver when they ask you to deliver? That was the first thing. Secondly, the way I got in was through Chris Brown. Even with Chris Brown, the only reason I got in with him was because I was working with Jawan Harris and he’s signed to Sony. Chris’ A&R Mark Pitts signed the kid and they wanted a record for him and push him out there. They were like “We need a song” and I did a song called “Nobody”. They wanted me to work with him and I was like “Cool.” I did like seven or eight songs with the kid. They put the record out and they needed a co-sign for the kid, so they needed Chris Brown to stand in the video and say “This is an incredible kid.” We were at the video shoot and Chris Brown literally walks up to me and says “Did you make this record? It’s incredible, I really want to work with you.” We worked on “F.A.M.E.” and we did a record with Chipmunk called “Champion” which charted number one in the UK and Europe. Everyone was like “Who made this record on Chris’ album?” and people were like “Harmony did!” The phone starts to ring once it’s been proven that you really are good at what you do. Chris Brown did an interview on BET when he was promoting the album. He spoke about Timbaland, Polow Da Don and Jean Baptiste. These were producers who have sold millions of records. Then he spoke about me. I was this new kid that no one knew. Chris was like “Yo, he’s incredible!” I was shocked myself when I watched it. I’ll tell you from that day, it’s never been the same. The phone has always kept ringing because of it. YouKnowIGotSoul: From the songs that I’ve heard from you, there’s a different sound to each track that you make. It seems like you’re trying to complement the artist with your sound instead of forcing a certain style on them. Is the versatility that you bring important to you? Harmony Samuels: Yeah, when it comes to the artist, to make an artist do something that they’re not comfortable doing is the death of a record. The artist is important but the song is even more important to me anyway. We spend a lot of time making the right song for the right artist because if we don’t, you could damage their career which would also damage mine. When we went in with Keyshia Cole and Lil Wayne and we did “Enough With No Love”, she pretty much just walked in and that was the first record she did. She walked in and was like “This is perfect! It’s almost like you knew me.” I was like “Well I’ve done the research. I’ve listened to your records and the ones that make you who you are. Why would I give you anything less or anything away from who you really are?” Even if you want to change or add, you still have to keep the core of who she is and then add the creative left-ness to make it sound different. If the core of the artist isn’t there, you tend to get lost. Rihanna has never changed. She’s still the same even though she’s growing and growing. She’s still the same artist. Her core is still there, her fanbase is still there. You’ll never hear a Rihanna song and say “Who is that?” You’ll know it’s Rihanna because it sounds like her. YouKnowIGotSoul: Talk about the song “Without You” that you did for Brandy. She’s known for her harmonies and runs, but on this song it’s more stripped down production wise. What was the approach with that song? Harmony Samuels: Firstly that song was written like three years ago. That song has been sitting on my computer for a very long time. I have a writing team with Eric Bellinger and Courtney Harrell who are incredible writers. They’ve written everything from Usher to Chris Brown. We did that record for Alicia Keys in mind. That’s why it’s very stripped down because Alicia Keys is all about pianos and drums. We didn’t want to overproduce it because the song was so meaningful. Sometimes harmonies and too much technology takes away from the message. Brandy came in and poured her soul over it. She loved the record so much. She was like “I want to keep the same simplicity that you had on the record” and she pretty much just followed what we did. God bless her soul, she did such an amazing job. 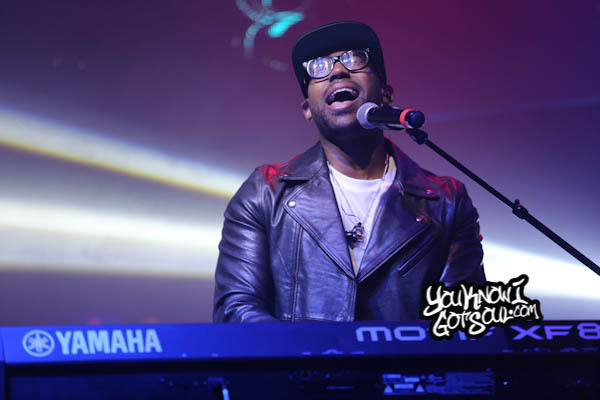 YouKnowIGotSoul: Another song that you did was Ne-Yo’s “Don’t Make Em Like You”. Talk about that song because it seems a little different for Ne-Yo. 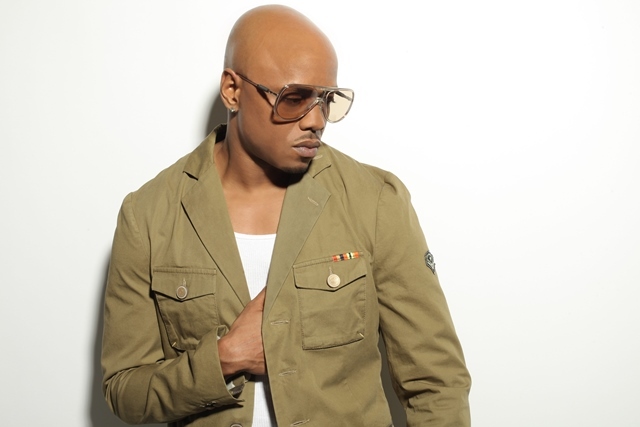 Harmony Samuels: Ne-Yo is probably going to be mad that I said this but anyway. *Laughs* When I made the track, I actually made it for Bridget Kelly. We had done a song to it. The track was so phenomenal, but the label didn’t like the song. I had this whole track just sitting here looking at me and I was like “What am I going to do with it?” A few months later, I went in the studio with Ne-Yo. He is a bit different, he’s not the type of person that you go in and you put on the keyboard and play. He’s the type of person where you’ll take as many tracks that you had and just press play. He’ll be like “I love that one!” When I went in with Ne-Yo, he was like “Play me some tracks, let me get to work.” By the way, Ne-Yo is the funniest person I’ve ever come across. From the moment I walked in, he just makes jokes all day. He goes in the studio and that’s the first track I played him. In the chorus, it does this DJ rewind thing that I do. He was like “What the hell is that?” and a lady bet him $100 that he wouldn’t be able to write something to that section. The whole song was a challenge because the track was so different. He writes one and he plays it to me. Then he looks at me and says “That’s not it.” He writes another song to the same track. This is on the same day too. He looks at me and says “Nah I don’t like it.” Now you have to understand that the first two songs ere incredible. Then he writes this one which is “Don’t Make Em Like You”. That is when I actually stood up and was like “You wrote three different songs to the same track in the same day. I applaud you because you didn’t give up and you kept pushing until you were satisfied with what you had.” He’s one of the best artists and songwriters I’ve ever watched. It’s complete genius to see him do that. YouKnowIGotSoul: Another project that you’re heavily involved with is the Fantasia album. What’s the approach for that project and what has it been like working with her? Harmony Samuels: Fantasia has a big history. She came off American Idol and had a number one album. Then she had a few issues in her personal life that the media took hold of and it was kind of heavy for her. When she came to us, she was kind of in a place. She really wanted to make an impact because she felt this was her chance to tell her side of the story. The one thing I said to her was that we were going to change the way she came across. She’s such a normal star. She’s such a beautiful woman and has so much to give when it comes to love and music. She’s also so talented, her voice is phenomenal. She was like “I love Tina Turner and Gladys Knight” so we were like “Why don’t we make you a modern day Tina Turner/Gladys Knight?” So what we did was we took her away from her typical Urban audience and we gave her a bit of an open sound. When I say that the chemistry between us is incredible, it’s like we had half of the album done before she came in. She came in the studio and I was playing for her songs and she was like “You’re pretty much telling me my life!” Songs were just perfect for her and she was like “These songs have just been sitting here?” and I was like “Yeah they have.” She cut like six songs in like seven days and then she came back again and we did another six songs in ten days. The label was like “You might as well finish the album.” When I say that it’s eclectically different from anything she’s done, it’s Pop but it’s Urban and it’s left. She’s got a little bit for everybody and I think it’s going to be one of her biggest albums sonically. I think it’s going to be a very big album sonically for her. I’m so proud of the work because she worked hard. She’s not a diva, she doesn’t come into the studio and go crazy like the media may put out. She’s a sweetheart, she loves her kids and she works so hard. She cuts these songs in like two hours. She’ll come in the studio and cut a whole song with background and leads in two hours flat and act like it never happened. Even on a day when she’s not in a good mood because she’s had moments where she hasn’t been in a good place, she’ll cut them in like two or three hours and be done with it. She’s a complete genius. She’s vulnerable, she’s very vulnerable. One of the things I loved about what we did with this album is that we told the truth. We didn’t hide anything. She has a song where she’s telling a dude “Without me, where would you be?” She has a song that’s like “Two days have gone by, I haven’t cried yet. I pray this means I’m over you.” It’s really open and vulnerable. I think a lot of women are going to love her because of her honesty. I feel a lot of women are going to be able to find healing from her story. YouKnowIGotSoul: Since we haven’t heard from Fantasia in a minute, what song in particular would you want the fans to hear first as the lead single? Would you want it to be up-tempo or a ballad? Harmony Samuels: Well, it depends. Right now she has different audiences. She has an Urban audience and a Pop audience. What we’re trying to find is the one that sits in the middle where both sides can enjoy it. It’s probably going to be mid-tempo. There’s two or three records that they’re looking at. We have a collaboration record that’s subject to be a very big record. It’s with two female artists who I can’t disclose yet because they have to confirm everything, but the collaboration will be big. It hasn’t been done since “The Boy Is Mine” by Brandy and Monica. It’s going to be incredible when it’s completed. It could go either way, it’s in the early stages. The album is in mix stage right now and it’s subject to be dropping definitely the first quarter. She should be dropping a single anytime soon. To be honest with you, for a new producer like me, I did every joint on the album but maybe two. I did ten out of the twelve songs on the album. 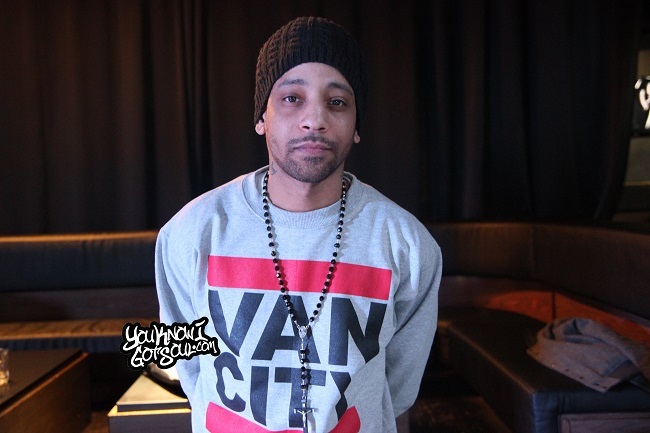 YouKnowIGotSoul: You’ve worked with a lot of the bigger Urban acts in the US already. What does it mean to you to know that they believe in your talents? Harmony Samuels: It just means I was born to do it. *Laughs* It just proves that I was born to do it. For a very long time, I was like “Maybe it’s not for me.” I was going to quit in 2008 and become a music teacher because it was such a struggle especially back home. Being a young Urban kid, no one really paid attention. Just to clarify something, when I came out to LA, my first placement was Maroon 5. Everybody was like “Oh you can do that stuff too?” I was like “Yeah, I make music. I’m not genre driven. I’m not Urban or Pop. I just make my music.” We’re working with Country acts right now, we’re working with Rappers. We’re working with Jordin Sparks and Kelly Rowland. You name it, we’re doing it. We’re just interested in making music to be honest with you because I’m a musician. I play the drums, bass, piano, guitar, vocal produce and I engineer. It’s about making great music and a great song that fits the right artist. I’ve done records for Rihanna, I’ve got a stack of records that I’ve done for Rihanna that haven’t made it, but at the same time, some of these songs have gone elsewhere. So just because it doesn’t go where you want it to go doesn’t mean it’s not going to go somewhere that’s going to help your career. I always tell producers to not chase for the same artists. Nobody was running around trying to work with Fantasia when I worked with her because everybody was running around trying to work with the mainstream artists. What they don’t understand is that if this album does very well for Fantasia, that breaks me into the mainstream anyway. 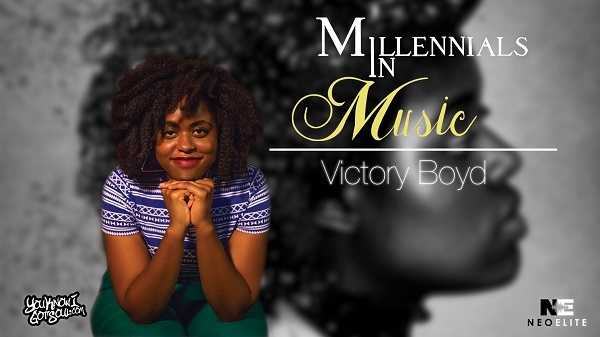 Follow Harmony on Twitter @HarmonyBOE and visit his official website for more information about him.